There aren’t too many hard and fast rules when it comes to singing. Most singers can feel and hear their problem spots. “If your voice feels good and sounds good, it probably is good. If it feels bad and sounds good, something is wrong,” says Jeannette LoVetri, director of The Voice Workshop in New York City. 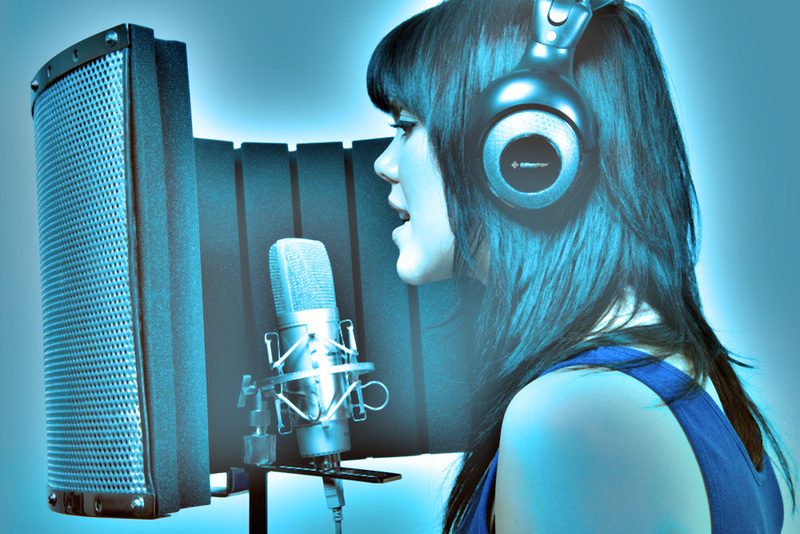 As a voice instructor for more than 35 years, LoVetri knows a thing or two about getting the most out of your voice. Similar to musicians who play instruments, singers must make sure their technique is correct to avoid injury. “If you can’t make yourself sound good and feel good, go get help from a skilled singer or teacher,” says LoVetri. “If that doesn’t help, seek out an otolaryngologist or throat specialist and get examined right away. Vocal problems that are ignored can lead to serious issues down the road, both vocal and in general health.” Read the full article here! It's official, I'm back on the jazz concert circuit! And after my Melmoz Jazz Bar event November 28th, I've made a decision that from hereon out, I will stage my jazz concerts on the internet for the north American audience exclusively, via StageIt, to whom I've been signed for a couple of years now, but haven't as yet staged a show on the site. What this means is this. My jazz concerts will be staged at a local Dar es salaam venue but not for the local public. 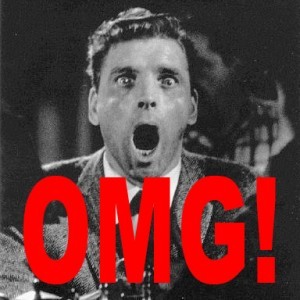 Concerts will not be advertised and promoted to the local market for turning up at the venue. Yes, I will invite guests, friends and fans to attend the live broadcast at the venue--and entrance will be free (NO cover charge whatsoever), but the thrust behind this concept is to put the show online exclusively. Using a Facebook app, concerts can be streamed LIVE on Facebook. So yes, you'll be able to watch the show and to interact with it on Facebook from anywhere in the world INCLUDING Tanzania. Which means you don't have to dress up to get there; to contend with traffic to get there; none of that. You can watch the entire concert on Facebook on your computer or mobile phone. Forbes: "The roster of musicians has swelled with the likes of aging stars (Bonnie Raitt, Rick Springfield, Jackson Browne) and newer faces like Jason Mraz and Pomplamoose." 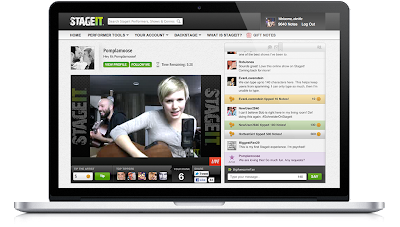 Time: "Stageit is a promising new revenue source in an industry that has been bleeding money for more than a decade." TechCrunch: ". 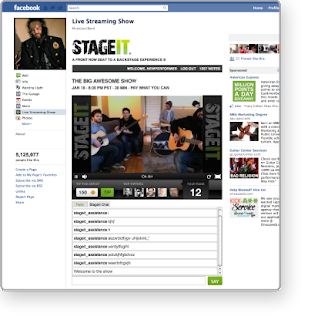 . . artists need to use digital venues like Stageit to rebuild their intimacy with their audience." Mashable: "Stageit solves a problem unique to the music industry and does so very well." 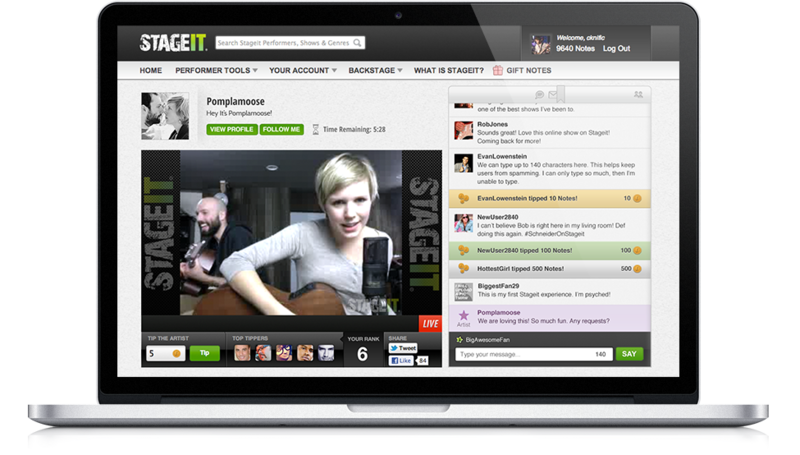 Entrepreneur: "Stageit is becoming a must-have commerce tool for music entrepreneurs." Billboard: "Stageit is a potentially disruptive company with a very interesting model." LA Times: "...see your favorite acts in concert without ever leaving your home, let alone changing out of your pajamas." So please standby for dates to my very first StageIt concert coming up real soon. PUBLISHED IN BUSINESS TIMES 22/11/2013 == Joett rarely makes public appearances. 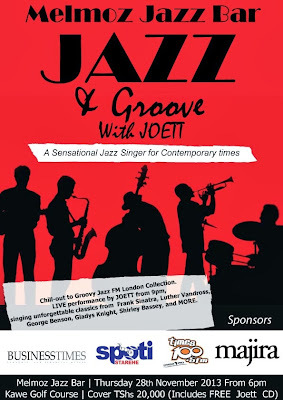 The last time he gave a series of jazz concerts at Harbor View Suites Hotel’s Boodles Jazz & Blues Bar, Movenpick Hotel and Sweet Eazy was back in early 2011. After a two-year hiatus, this sensational jazz singer for contemporary times is well and truly back and takes to the stage November 28th at Melmoz Jazz Bar on Avocado Road near Kawe Golf Course, with groovy jazz music permeating the entire venue from 6pm, and then Joett is to perform live at 9pm. Joett’s repertoire will include classics from jazz legends Frank Sinatra, Nat King Cole, Gladys Knight, Aretha Franklyn, Andy Williams, Barbra Streisand, George Benson, Luther Vandross, Isley Brothers, Julie London, Burt Bacharach, Michael Buble, Dean Martin to name but a few. Finally, my first public appearance in two years rolls out at Melmoz Jazz Bar on November 28th 2013. I've had to shave two feet off my stage and backdrop prop to squeeze my set into the bar, can you believe it? But what I like about it is, in that process I'd had a rethink as regards the stage itself...to have it split in two so it could be easily transported. So thanks to Melmoz Jazz Bar, I now have an even better outfit. More efficient. The evening will kickoff at 6pm. That's when I take over the bar. All the music in there will be from my very own collection imported from Jazz FM London especially. Once you guys have settled down, I will go up on stage and give you a live performance with classics from all of my favorite greats: Frank Sinatra, Nat King Cole, Luther Vandross, George Benson, Julie London, Burt Bacharach, Michael Buble, Andy Williams, Aretha Franklyn, Barbra Streisand, Tom Jones, Shirley Bassey, Gladys Knight and MORE. I really look forward to this. I've prepared long and hard to give you the best jazz performance possible. Please share this blog post, and I shall hope to see you VERY soon. I've wanted to return to the stage for quite a while now. My last jazz performances were in 2011. And so, after a two-year hiatus, it's good to be back! This time around I've actually built a stage complete with stage props from my Color Me Beautiful video set. You're going to love the colors. I also designed and commissioned an iron smith to build a stool (yes, for ME). Really refreshing this. Now let me fill you in on the concept behind this new jazz theme. I wanted to create a jazz evening set against a backdrop of top quality Jazz FM London playlists (and I've actually imported compilation albums from the Jazz FM London store especially). Jazz and soul music will set the tone for the entire evening so to speak; and then there will be the LIVE performances by myself and my VERY SPECIAL GUESTS (including dancers from the TV series TIKISA) for about an hour during the course of the evening. I will sing classics from Luther Vandross, George Benson, Shirley Bassey, The Beatles, Frank Sinatra, Nat King Cole, Burt Bacharach, Dionne Warwick, Julie London, Barbra Streisand and much much more. I'm negotiating a deal to go into residency at a certain venue in town once a week (details coming SOON), and then my crew and I will also be doing the rounds with one-off performances around town INCLUDING private and corporate functions. To book my jazz experience, please get in touch with me directly. I'm truly excited about this entertainment concept, and I really look forward to seeing you guys soon. 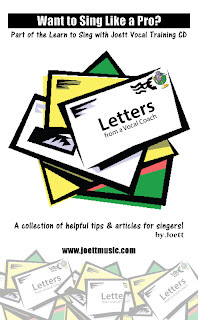 For those of you who've purchased my Learn to Sing with Joett vocal training Booster Program CD, you will be familiar with the vowels Arpeggio exercises on track 6; Octave exercises on track 7; Chromatic Scale exercises on track 8; and Descending Scales on track 9. Now, to adapt Speech Level Singing exercises to the same scales, simply replace the vowels with a hum (Mmm). Yes, you heard that right! With your mouth closed and only breathing in BEFORE each note, humming induces the head voice and helps connect your chest voice to your head voice in a seamless link through your bridges or blend area. Give this a try, you'll love it AND you will get RESULTS. 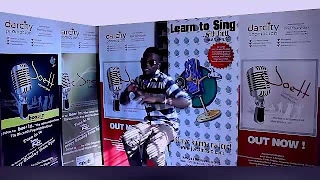 There are so many different exercises you can adapt to my Learn to Sing CD. I plan to continue publishing these ideas right here on my blog. So stay tuned! Package includes 3 FREE Joett singles (Color Me Beautiful, I Could Never Live (Without Your Love), Heaven Said) with backing tracks. And if you're in Dar es salaam, you're also entitled to a FREE voice assessment and advice (at my studio in Oysterbay) on how to use the program. 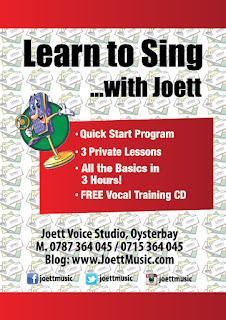 BUY Learn to Sing with Joett CD Online from TripleClicks. If you're based in Dar es salaam, you may buy and pickup your vocal training package from Joett Voice Studio in Oysterbay for ONLY TShs 35,000/=. I'm sure you'll be pleased to know that I've introduced a highly effective vocal training program using a POWERFUL technique used, over the years, by Michael Jackson, Janet Jackson, Luther Vandross, Stevie Wonder, Madonna, Natalie Cole... to name but a few. This system WORKS -- it's the best in the world! And if you have a natural talent, even more so. I've seen my students get tremendously QUICK results over a very short period of time, so much so that I've now decided to introduce a more affordable 4-HOUR CRASH COURSE (TShs 140,000) based on this incredible technique that shortens your learning curve by at least 50% GUARANTEED; and quite literally INCREASES your advancement as a singer by as much as tenfold. To book for this exciting Speech Level Singing Crash Course, please contact me. In the meanwhile, have a listen to the man himself (Michael Jackson) vocal training using the very exercises you'll get to enjoy and BENEFIT immeasurably from at Joett studio. See you soon! On occasion, if needs be... just to drive a point across, I would record my pupils as they sing "badly". I call it the-shock-treatment or the-wake-up-call. And trust me, it works everytime. You see, you could do the scales all you want, but at the end of the day, you're going to have to SING. And that means delivering a good, clean, solid, professional-sounding vocal the listener will love and respect you for. And it's all in the scales when you do them correctly and transfer the techniques you learn to songs you want to sing. It really isn't rocket science. And so when I've tried everything and I'm still not getting through to you, I would resort to shocking you into, quite literally, hating your voice. Once you absolutely DON'T like what you hear, I mean really really DON'T like it, chances are you will make a decision AND a concerted effort to do something about it. And this applies to ANYONE out there. Record your voice on your mobile phone and if you don't like what you here, listen to it over and over again until you practically HATE what you hear. And that should compel you to do something about it. If you're voice training already, this time you'll take it MORE seriously! Package includes 3 FREE Joett singles (Color Me Beautiful, I Could Never Live (Without Your Love), Heaven Said ... all with backing tracks. And if you're in Dar es salaam, you're also entitled to a FREE voice assessment on how to use the program. If you'd like to buy the CD to train from home, come to my studio in Oysterbay. The CD costs ONLY TShs 35,000/=. You're about to view the old system. I have created a new training schedule, however, that combines some of the training programs listed here-under. Please take a look at the updated schedule here. I run seven different vocal training programs… Level 1, Level 2, Intermediate, Advanced, Pro, Pro 2, Pro Club... plus a Booster Program AND Speech Level Singing into your Head Voice thrown into the mix in every level. With each program I will put you through sixty-minute vocal exercises to help improve your range, pitch accuracy, flexibility, and the quality of your voice through proper breathing and vocal technique. After five sessions I will start to include what I call jam sessions… that’s where we get to work with cover songs (or songs you OR I have written) in order to apply what you’ve learned to song. This element of your training is a lot of fun… as you get to sing some GREAT songs! Each program is ten hours (spread over ten lessons). You’re welcome to make an appointment [whenever you’re ready] to come over and see me for a free 30-minute voice assessment. I’ll listen to you sing; show you how I work; and run you through a quick breathing exercise and the scales on piano, to see where you’re at vocally. And we’ll take it from there. QUICK START PROGRAM is a short vocal training program wherein, in as little as 3 hours, you get all the basics to get you started. Created, especially, for those of you who would like to get a Quick Start to singing like a pro, and then perhaps carry on with a home learning program; OR, in the case of both professional singers AND beginners, it offers a quick brush-up to prepare for live concerts, singing competitions... and even karaoke nights! BOOK ONE HOUR TRIAL SESSION: Private lessons in my studio run for a full hour. If you’re training from home, however, I would strongly recommend that once you get a little more proficient with training on your own, try to gun for a one hour session with me in my studio. And if that becomes a bit of a challenge for you, try to do a vocal workout for at least 20 minutes over the phone with me and perhaps gradually build on that. You will improve your voice, no doubt. And this is why I created the once off one hour private vocal training session you can purchase to help you get started—just with the once off session—in my studio. My fee is Tshs 31,000. And a doable AND affordable progression to this is the 20 Minute Vocal Training Phone-In system. VOCAL TRAINING BY PHONE: If you cannot imagine dragging yourself through traffic to get to singing lessons, then this article will outline a simple yet very effective way for you to get all the vocal training you need over the telephone to a vocal coach, with the same personal touch you can expect in a private studio session with a teacher. For details on this, read my article Singing Lessons Made Easy Over the Phone – Only Takes 20 Minutes! I’m based in Oysterbay, Dar es salaam. My studio is open Monday, Tuesday, Wednesday and Saturday. 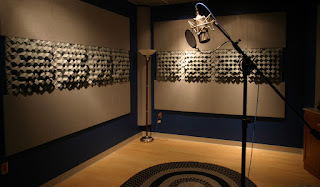 I do 30-minute voice assessments any day of the week by appointment. You'll need to call me to book. SUBSCRIBE to My YouTube Channel TODAY... Click Here! 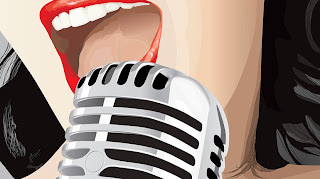 I've covered speech-level singing in my private-lessons training programs, but of late, I have added a more intensive and extensive speech-level singing vocal exercises regime to ALL the programs from Beginners 1 to Pro Club. What this really means is, every student that walks into my studio right now gets a full hour of Speech Level Singing exercises regardless of what program they're on. And the results? Well, if they couldn't quite hit the mark with a song they'd been working on, suddenly they CAN! It's that good. It's INSTANT. Most singers use excessive muscular effort when they sing. Muscles the body normally uses to chew and swallow food, as well as open the throat wider when it needs to get oxygen into the lungs quickly, are used to manipulate the larynx—forcing it up or down. This is done to accomplish a difficult pitch, increase intensity, or "improve" the quality of one's tone. We call these muscles the outer muscles, because they are located outside the larynx. Whenever you use your outer muscles to control your voice in any way, however, you prevent the free vibration of your vocal cords inside your larynx, and alter the relationship (and the over-all condition) of the resonance spaces above your larynx. The result is a labored and unbalanced sound. Only when your larynx is in a relaxed, stable position can your vocal cords adjust easily with your breath flow, to create the pitch and intensity of your initial tone. And, only when your larynx is in a relaxed, stable position will your final tone contain a balance of top, middle, and bottom harmonic qualities—like a good stereo system—so you never sound "muddy" on low notes or "splatty" on high ones. Yet, there's another important reason why your larynx must be kept free of outer-muscle interference. Many of these muscles are involved in the production of speech sounds, and their interference in the tone-making process inevitably disrupts the word-making process as well. It's hard to form vowels and make consonants when the muscles controlling the movement of your tongue and jaw, for instance, are also trying to control your tone. Hence, voice production using the muscles outside your larynx is a hopeless battle in which both your tone and your words become the casualties. Generally, when you speak in a quiet, comfortable manner, your outer level— muscles do not interfere with the functioning of your larynx. That's because a foundation for tone is not your primary concern—communication is. Therefore, your lar-vocal freedom-ynx is allowed to rest in a relatively stable, or what we call a speech-level, position. This is the ideal vocal condition or posture with which to sing. If you can learn to initiate and maintain your tone with this comfortable speech-level posture when you sing, you can sing with the same easily produced voice you use—or should be using— when you speak. Nothing will feel any different in your throat or mouth. Both your tone and words will feel natural and sound natural. But be careful! Speech-level singing doesn't mean "sing like you speak!" Mshirki wa Epic Bongo Star Search 2012, Norman Severino, alikutana na mimi kujadili swala la kufanya mafunzo ya kuimba ili kujianda kushiriki Tusker Project Fame 2013. Nilimfundisha Norman kwa kipindi kifupi mwaka 2009 na sasa amerejea. 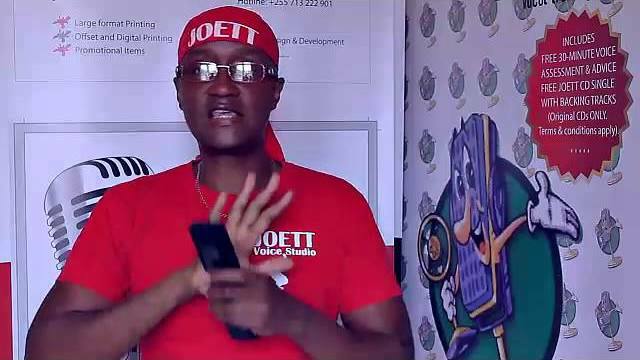 Nafurahi kumkarubisha tena Joett Voice Studio na nitawaonyesha vitakavyo endelea kwa kupitia kwenye blog langu na YouTube. Angalia mchakato huu katika documentary video clips za Norman Severino kwenye link zifuatazo. Package inakupa CD singo 3 za Joett BURE (Color Me Beautiful, I Could Never Live (Without Your Love), Heaven Said) pamoja na instrumeto zake. Kama upo Dar es salaam, unaweza kuja nikupe ushauri BURE na kukuonyesha jinsi ya kuitumia CD yangu yakujifundishia vyema. Na pia unaweza kununua Jifunze Kuimba na Joett kwenye intaneti. Kama upo Dar unaweza kuja nunua na kuchukua kwenye studio yangu Oysterbay. Bei yake ni TShs 35,000/=. Kuimba kunahitaji pumzi kwasababu pumzi ndio itakayo kuwezesha kumudu ile sauti na kuipeleka popopote pale unapotaka. Bila "control" sauti yako itakua hafifu na isiyo na mvuto wala. Kwa hivyo basi, nimeanda video fupi ya kama dakika tano hivi, ili kukuonyesha jinsi ya kupumua na wapi kupumua (kabla ya kila mstari); na ukiangalia video vizuri utaona jinsi ya kumudu sauti yako na kuongeza kasi na ujazo wenye ladha ya kuvutia. Kwa maelekezo zaidi angalia video Jifunze Kuimba na Joett: Jinsi Halisi ya Kupumua, Kuimba na Kumudu Sauti. Kama unamaswali na ungependa nikutengenezee video maalum kukusaidia wewe kusawazisha ama kurekebisha linalo kushinda ama linalokupa matatizo kwenye kuimba, wasiliana nami. Namba zangu za simu na barua pepe zipo hapo juu, na vile vile, naweza kupatikana kwa kupitia SKYPE ambapo ID yangu ni tojona. Mafunzo ya kuimba ni muhimu sana kama unataka kuwa na uwezo wa juu katika fani hii. CD yangu yakufundishia inaweza kukusaidia. Mpaka hapo siku nyingine, nakutakia siku njema! Ningependa kusistiza kwa watazamaji wa video hii, kwamba jinsi ya kupumua vema na jinsi ya kutumia CD yangu ya Jifunze Kuimba na Joett zinapatikana kwenye blog langu na YouTube rasmi. Tafadhali hakikisha unaangalia mifano ninayo toa humo. Kama mnamaswali yeyote, tafadhali wasiliana nami. Namba zangu zipo hapo juu kwenye bango la blog hili. Na pia, ninatoa ushauri kupitia SKYPE ambapo ID yangu ni tojona. I think disco is back bigger and louder than ever, thanks to the robots that reign supreme once again. I'm one of disco's biggest fans--I MAKE disco music myself, TODAY--so I had to blog about this. I'm so excited. Daft Punk tops the Billboard albums chart for a second consecutive week, as their Random Access Memories sold nearly 93,000 copies, according to Nielsen SoundScan. Last week, the dynamic duo posted the year's second-biggest debut, moving an impressive 339,000 copies of RAM to claim their first-ever #1 album in the U.S. This week, that number wasn't quite as high, but it was enough to easily outpace Alice In Chains' The Devil Put Dinosaurs Here, which opens at #2 with sales of more than 61,000 copies. "Get Lucky" is a song by French house music duo Daft Punk, co-written by and featuring Pharrell Williams and Nile Rodgers (I'm a HUGE fan of Nile Rogers 70s disco group Chic). It is the lead single from Daft Punk's fourth studio album Random Access Memories. Before its release as a single, "Get Lucky" was featured in television advertisements broadcast during Saturday Night Live, after which Rodgers and Pharrell announced their involvement in the track. Small excerpts also appear throughout the promotional video series The Collaborators. Musically, "Get Lucky" is a disco and funk song while lyrically, according to Pharrell Williams, the song is about the fortune of finding chemistry with someone and not just about sexual chemistry. Following a leak days earlier, the single was released as a digital download on 19 April 2013. "Get Lucky" has since received acclaim from critics and was commercially successful, reaching the top ten in the music charts of over 28 countries. In France, "Get Lucky" debuted at number one on the French Singles Chart on 24 April 2013, becoming the duo's first chart-topping single in their home country since "One More Time". The song sold 38,887 copies in three days, making "Get Lucky" the best-selling digital single in a one-week period. In Belgium, where two independent official charts are published weekly (one for Flanders, one for Wallonia), "Get Lucky" entered in the top position on both charts, making it Daft Punk's highest Belgian chart entry ever and their first No. 1 song in the country. In the United Kingdom, "Get Lucky" entered the UK Singles Chart at No. 3 on 21 April 2013― only 48 hours after its release—selling more than 50,000 copies; the song became Daft Punk's first top ten hit in the country since "One More Time" in 2000. The song then peaked at No. 1 the following week, with sales of over 155,000 copies, and became Daft Punk's first ever No. 1 single in Britain. The song remained in the top position during the following week and sales reached 163,000. "Get Lucky" remained atop the chart for a fourth consecutive week and once again sold over 100,000 copies; as of 19 May 2013, over 600,000 copies of the song were sold in just over four weeks. According to a report from the Official Charts Company on 22 May 2013, sales of "Get Lucky" are higher than those of Macklemore and Ryan Lewis' "Thrift Shop", making it the country's best-selling single of the year thus far. On 27 June, the Official Charts Company announced that "Get Lucky" had sold over a million copies in the UK; only the 136th single and first released in 2013 to do so. The song is the first involving Daft Punk, Pharrell or Nile Rodgers to achieve this feat as well as being the second by a French act (after David Guetta's "Titanium"). Both Martin Talbot, Chief Executive of the Official Charts Company and Rodgers were impressed by the quick time (69 days) the single took to cross the million sales barrier. Dig up some more on the Get Lucky single on Wikipedia. Nilikutana na Musa, mshiriki wa Epic Bongo Star Search 2012, kwa mahojiano na assessment ya sauti yake, na kumpa CD yangu mpya ya Jifunze Kuimba na Joett. Angalia angalia mahojiano hayo kwenye YouTube Video hapa! Na kwenye video ifuatayo, ninatoa Mawaidha, Ushauri na Zoezi la Mteremko (Descending Scales). Kwa mifano na mazoezi kabambe ya kuimba, angalia YouTube Video hapa! Je, umejipanga kujikamua kinoma kwenye usaili wa Epic Bongo Star Search 2013? Habari njema nikwamba, nipo hapa kukusaidia. Kama ungependa msaada, nistue nikusaidie bure kupita SKYPE. Skype ID yangu ni tojona. Kwenye video clip hii, ninatoa mawaidha, ushauri na zoezi la kupumua. Pumzi ni kila kitu. Bila pumzi, sahau habari za kuimba. Tafadhali zingatia hilo. Tusker Project Fame: Na kwa wale ambao wana wania kujisaili Tusker Project Fame, mpango mzima ndio huu. Kama nilivyosema hapo juu, unakaribishwa. This is a short octaves & lyrics exercise from the Learn to Sing with Joett vocal training CD, and includes an additional lyrical arrangement on piano for you to apply octaves to. Enjoy! Package includes 3 FREE Joett singles (Color Me Beautiful, I Could Never Live (Without Your Love), Heaven Said) with backing tracks. 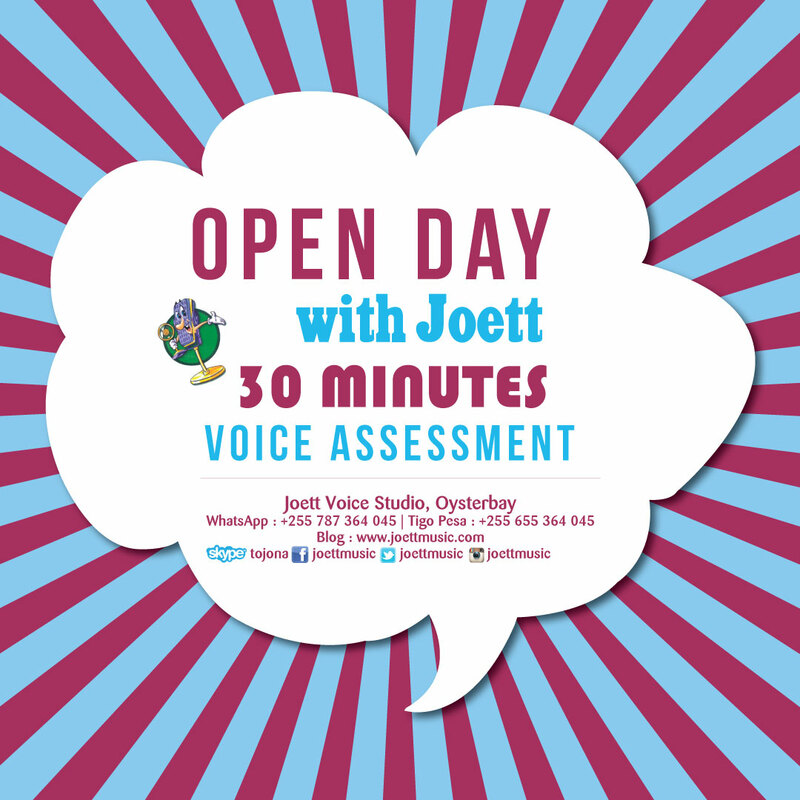 And if you're in Dar es salaam, you're also entitled to a FREE voice assessment and advice (at my studio in Oysterbay) on how to use the program. 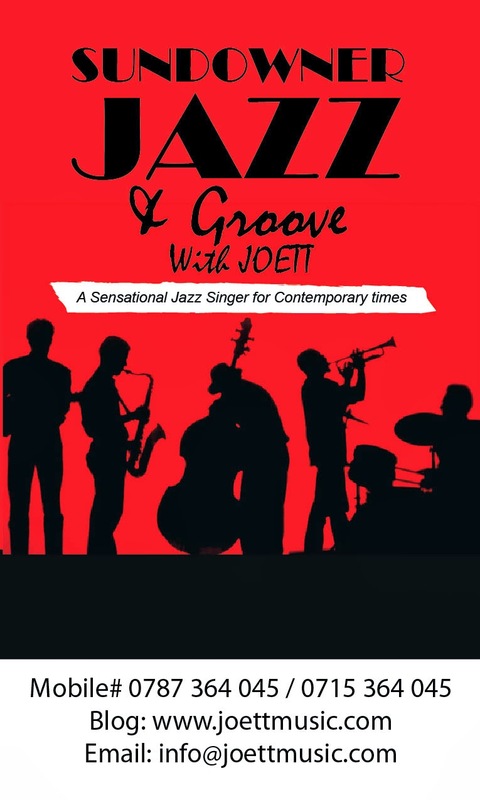 BUY Learn to Sing with Joett CD Online from TripleClicks. 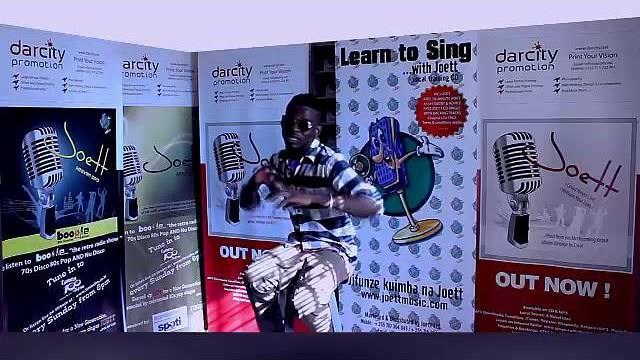 And if you're based in Dar es salaam, you may buy and pickup your vocal training package from the Joett voice studio in Oysterbay for ONLY TShs 35,000/=. I'm back with descending scales in this clip, with breathing as per usual. Never forget to breath properly! And then back to that gibberish line again "I could've been a writer, rain", but in a slightly different trajectory. This time I give it a clear cut descending slide and I show you how to do it 'in slow motion' at the very end of the clip. Enjoy! This article is going to be a pretty twisted article in that, although it is intended to motivate you, it may well do quite the opposite. When you're potentially a good singer, with training, you could improve on that and the sky truly is the limit. However, when your singing ability is average--like I've seen so many in my line of work--you can only develop and improve your voice from that point on, but mind you, you will have limitations. The trick is to accept it and to work with what you've got within the boundaries of your ability. Nothing more, nothing less! Don't try to be what you can't be. But instead, design your musical works to suit your style and ability. Don't even attempt to go beyond that. It'll only lead to anger, disenchantment and frustration. There's nothing wrong with pushing the envelope but KNOW your limitations. I've watched aspiring singers pop into my studio for singing lessons over the years, and I've seen firsthand how working with what you've got is the best approach. Not everybody can be the best in the world. There's no such thing. Ever! But you can do it your own unique way, and do it properly, AND get away with it. Now with that in mind, I'm going to suggest a few simple tricks that can, if you exercise a lot of patience and perseverance, improve your voice beyond what you know to be the limit of your ability. Try listening to good music! Seriously, this may sound a little patronizing but it CAN do wonders for your voice. Allow good music with great vocals to surround your home. Put the music on very low volume when you go to bed and let that whisk you into the depths of sleep. Your subconscious mind will pick up the music while you sleep, and with time, you may become the singer you want to be by simply listening to great music in your sleep. And if you combine this with a proper vocal training program by day, you will tremendously improve your singing voice. Of that I am certain. I'll tell you an interesting story. I've got a young student whom, when I first heard him sing I thought, for crying out loud this dude is good! He sounded amazing. Yes, he needed training, and he knew that he did, but then he already had a natural talent. When I dug deep into his past, I discovered that his dad had been a DJ in the 1980s and that when the kid was growing up, not only did his dad play music from the 80s, 70s and 60s around the house, the boy went to bed with the music playing in his bedroom throughout the night on low volume. Henceforth, the music and singing style became him. That was the foundation that this lad had had from a very early age. The bottom line is, if you listen to good music (AND you have a bit of talent), you will become it. You see, the truth is, you are the instrument! If you listen to the pros, you too can become LIKE the pros. The way I see it, we humans were on this planet first, and then we invented the musical instruments. Wanna know how to bend a note with remarkable ease and control? Watch my new instructional video on youtube! In this video, I sing a couple of lines "I could've been a writer, rain". (Gibberish, really. Meaningless sentence. But it illustrates a point). After a quick breathing exercise and part of a chromatic scale exercise, I show you how to sing those two licks. Great fun! Keep practicing. And if you think you've nailed it, record it and send me an MP3 via email. I'd love to hear from you! Singing is great fun...when you have melody and are able to work with piano chord progressions as you hear them. It's about feeling the music and letting yourself go. 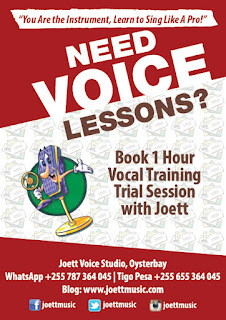 I've added an additional training program to my private lessons at my voice studio in Oysterbay, so that you can do just that. 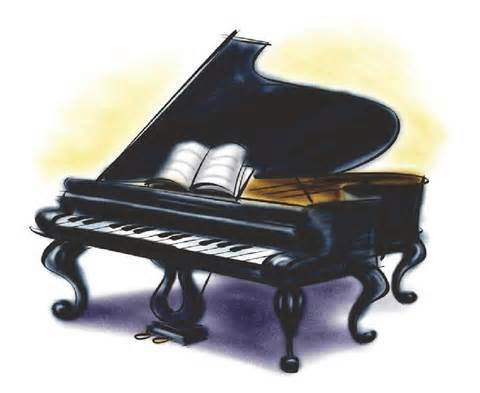 There are country, jazz, pop, R&B, blues and generic demos you'll have a chance to sing along to, and then there will be the solo segments where it's just YOUR voice and the piano. And what I like about this is that there are no lyrics. So it's really up to you whether you choose to hum or whatever. And there is no language barrier with this one either. If you're only comfortable with Kiswahili, then that's OK. These exercises have no particular language. Anything goes. 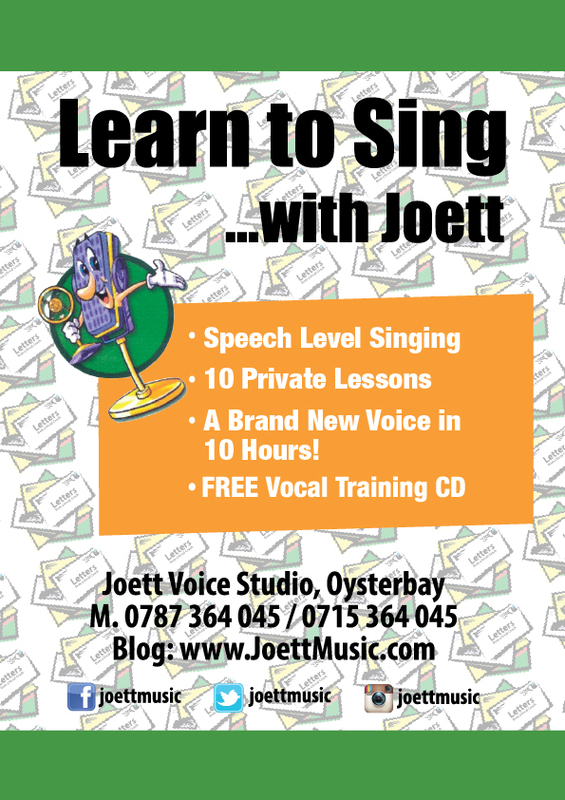 I'm really very excited about this new program which, like the Learn to Sing with Joett Booster Program, will fit into ANY of my seven programs: Beginners 1, Beginners 2, Intermediate, Advanced, Pro, Pro2 and Pro Club. Get a full breathing exercise with Joett on video, plus an application of the breathing pattern as demonstrated in a short arpeggio exercise lifted from the Learn to Sing with Joett vocal training CD. Enjoy! Hello everyone! 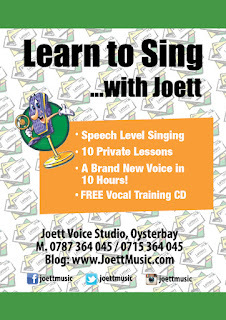 This video runs a 5-minute audio demo lifted from the Learn to Sing with Joett vocal training CD. I've also added a short instructional video in English. If you have any questions, please feel free to get in touch with me. Package includes 3 FREE Joett singles (Color Me Beautiful, I Could Never Live (Without Your Love), Heaven Said) with backing tracks. And if you're in Dar es salaam, you're also entitled to a free voice assessment and advice on how to use the program. BUY Learn to Sing with Joett CD Online from TripleClicks. 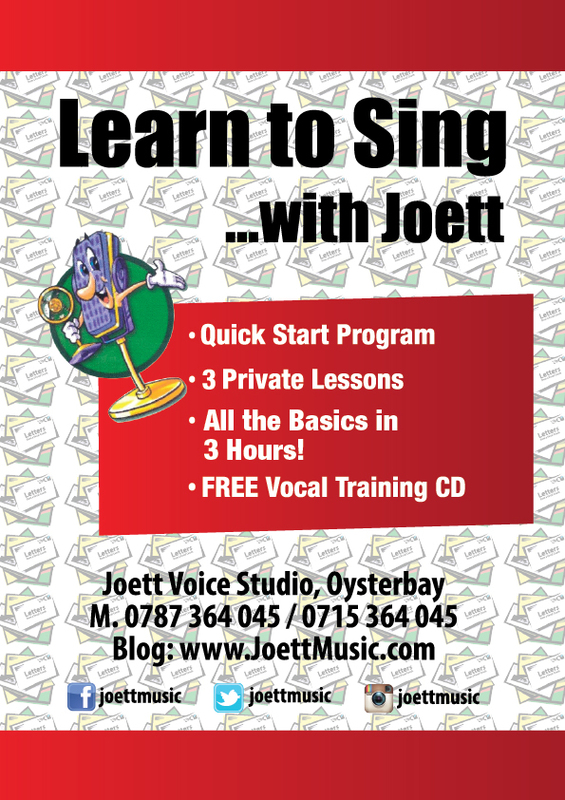 And if you're based in Dar es salaam, you may buy and pickup your vocal training package from the Joett voice studio in Oysterbay for ONLY TShs 35,000/=. What makes this program particularly unique AND useful, is that, unlike many vocal training programs on the market today, it is based on the song I Could Never Live (Without Your Love) by Joett, and requires you to do the scales within both a vowels and lyrical setting. Vocal exercises prepare the voice, now with lyrics and a song thrown into the mix, applying your newly acquired skills gets a whole lot easier. Because, as you will also be training with the scales in a lyrical setting, when it comes to singing any other song…be it pop, soul, R&B, jazz, gospel etc. it should be dead easy to apply the scales to whatever you want to sing because you will have done it before…in a song. These exercises basically hit two birds with one stone. I wanted to make it easier for you to learn to sing from the comfort of your own home—without a vocal coach present, AND get results.